I’m currently reading the book “Londoners: The days and nights of London now – as told by those who love it, hate it, live it, left it, and long for it” by Craig Taylor. As you can probably guess from the title, it’s a collection of short stories about the many different experiences people have had in London. The book starts with a quote from Samuel Johnson, “When a man is tired of London he is tired of life; for there is in London all that life can afford.” It’s interesting to read about the different perceptions people have of London and to learn what people love and hate about it. Even though I’ve only lived in London for 4 months, I’ve decided to share my favourite parts of London. For those or you that haven’t spent much time in London, I hope you enjoy this post. For those of you that have lived and loved London, please share what you love about it! Even though St. James is one of London’s smallest parks, it’s also one of the most beautiful. 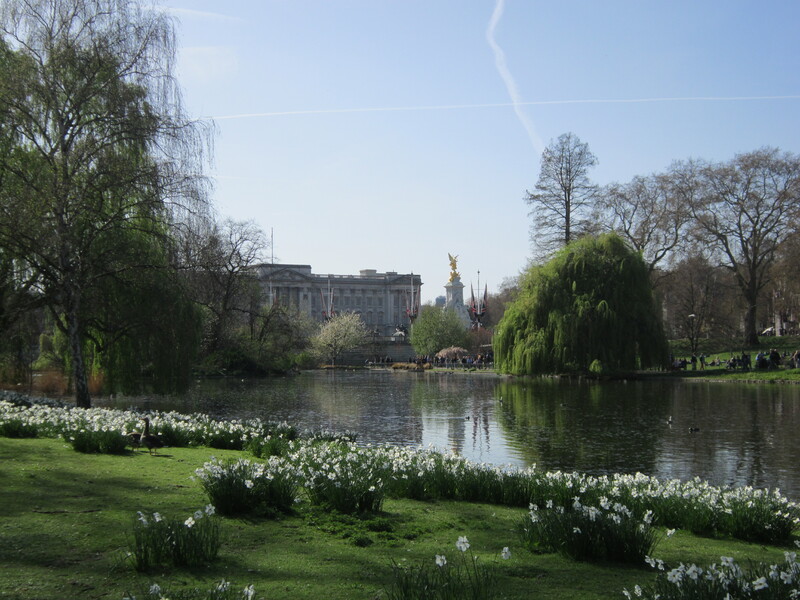 St. James is located right in the center of Westminster and all of London’s major attractions. If you walk north you’ll find Trafalgar Square, go west and you’ll come across Buckingham Palace, and go east and you’ll eventually end up at Westminster Abbey and Big Ben. No matter what time of year you go to St. James, you’ll find green grass, beautiful flowers, and dozens of different birds; in the summer you may even come across the resident pelicans! One of my favourite walks in London is to start from St. Paul’s, cross the Millennium Bridge, and then continue along the South Bank. I’ve already raved about how much I love Borough Market, but there’s a lot more going on then just the market. Once you leave the market you end up walking along the river, past the reconstruction of Shakespeare’s Globe and the Tate Modern until you reach the London Eye, and finally, Westminster. There’s lot’s to explore along the Bank. 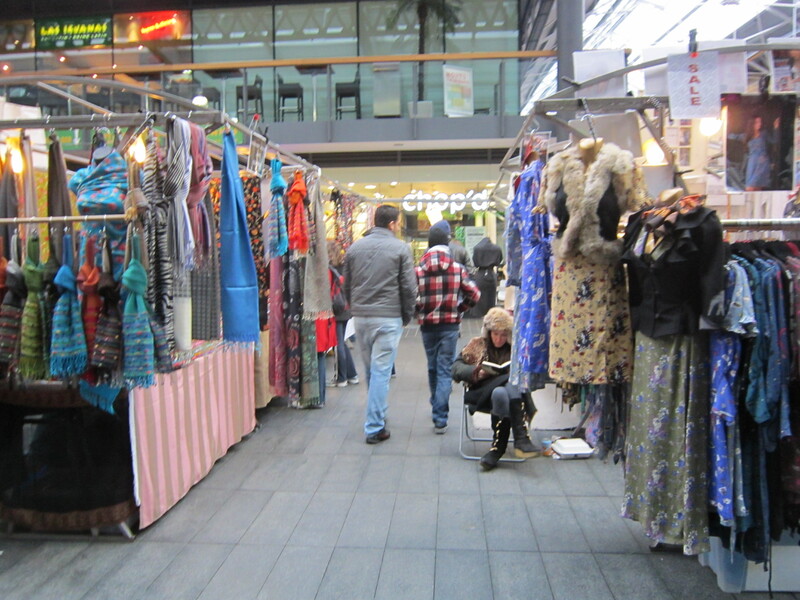 Spitalfields Market and Sunday Upmarket are easily my favourite markets. They have everything you could possibly want – from trendy clothing stalls, to vintage jewelery, to food stalls from all around the world! Once you leave the market you’ll find yourself on Brick Lane, which is where London’s Asian community thrives. There’s dozens of international restaurants and sweet shops where you’ll find delicious food and great deals! While the inside of the Tower of London is definitely worth a visit – the area surrounding the Tower is the part I really love. 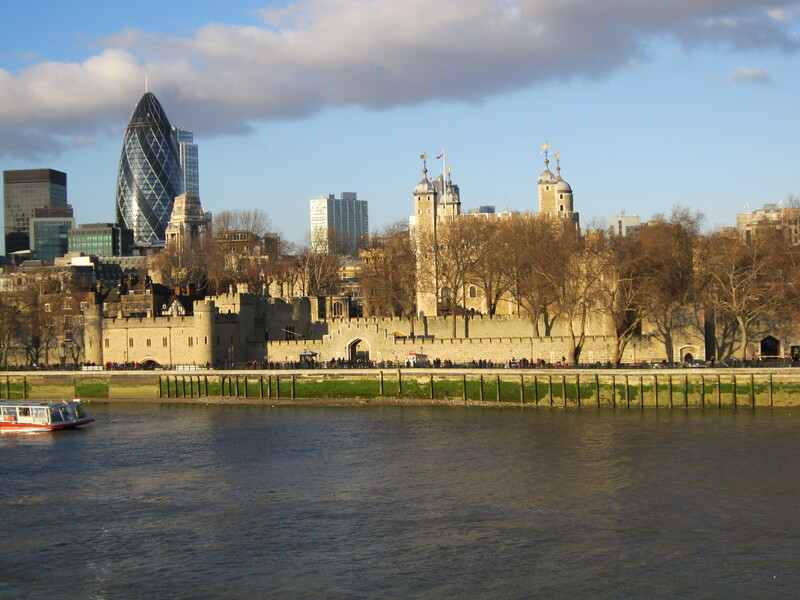 The Tower is located right next to the River Thames and Tower Bridge. I love just sitting by the river and watching London move all around me. 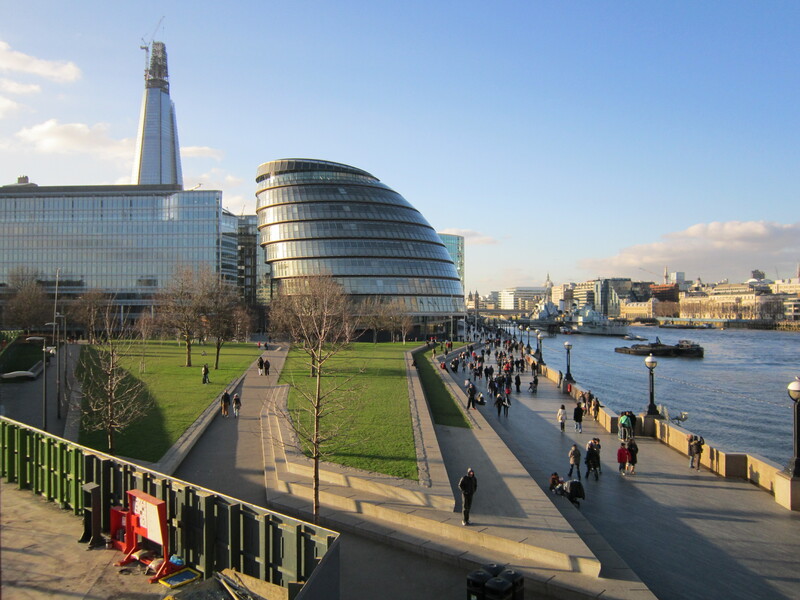 From here you can see all of London’s quintessential landmarks while enjoying a plate of fish and chips; if you’re lucky, you might even get to see Tower Bridge rise! St. Paul’s is my number one, favourite place in London. There is so much history in London; it has survived countless fires, the great depression, and two world wars, and yet it has still evolved and developed as time has passed. 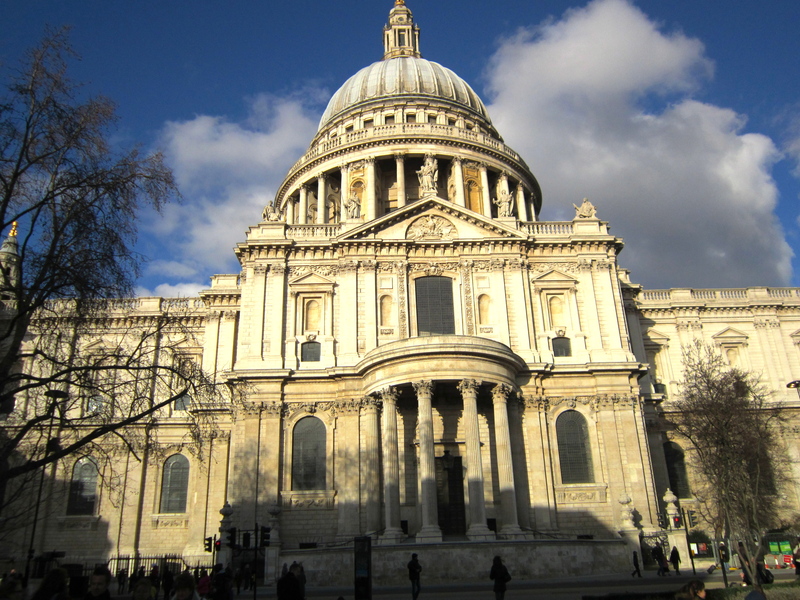 St. Paul’s is the very embodiment of the survival of London as it stands proudly in the city center. Both the interior and the exterior are incredibly beautiful and host one of the most gorgeous views of the city. No matter how much London changes, St. Paul’s will always be there, a true testament of time. What’s your favourite part of London?